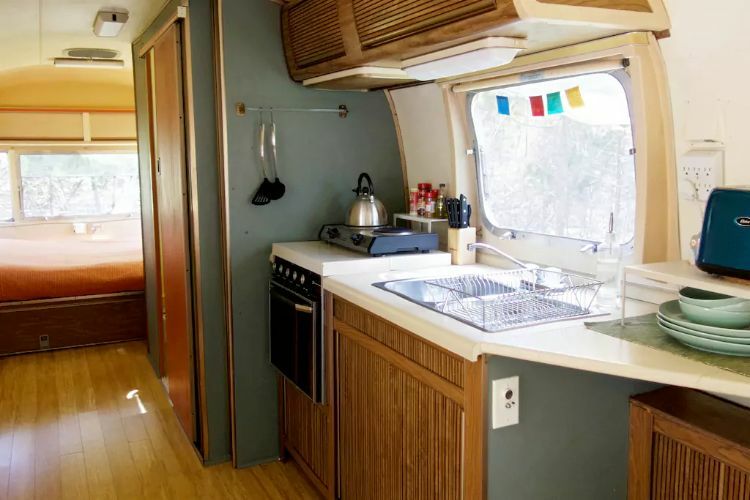 This is no ordinary Airstream collecting dust in someone's backyard. 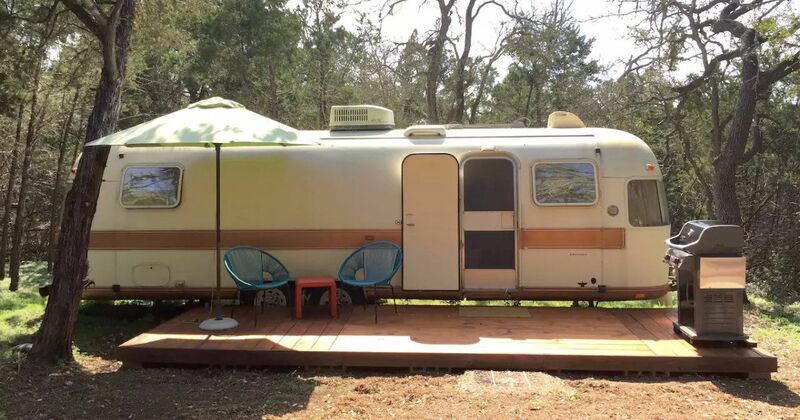 This is a perfectly restored 1978 Airstream Argosy sitting on a gorgeous 16-acre (6.5-hectare) property in San Marcos, Texas. 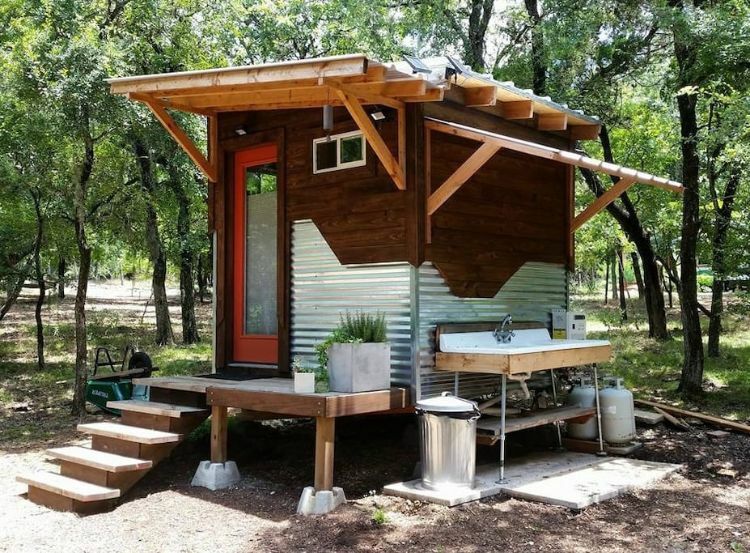 This incredible Airstream retreat is part of Dharma Ranch, and it offers visitors a unique and relaxing camping experience with some added glamour and extra surprises. 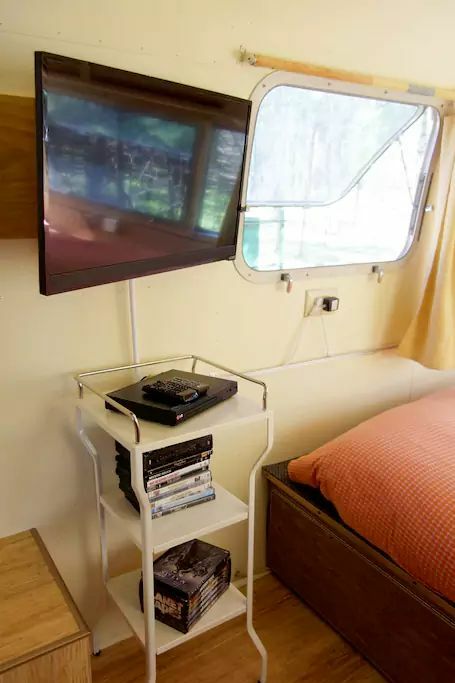 When you book your stay through Airbnb, you are paying for not only an Airstream in the woods but also an all-encompassing resort complete with walking trails, a pool and a special room for yoga or meditation. 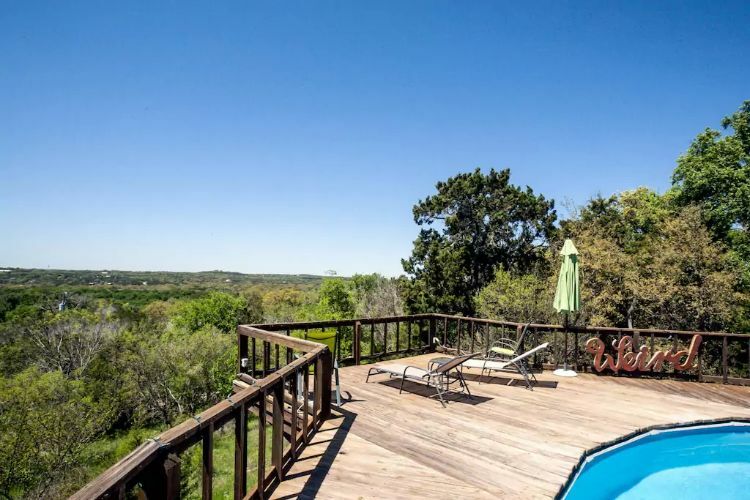 Here, you will feel calm and connected with nature while also being just 5 miles from downtown San Marcos. The vibrant neighborhood is home to many artists and musicians, making it a perfect place to get your creative juices flowing. 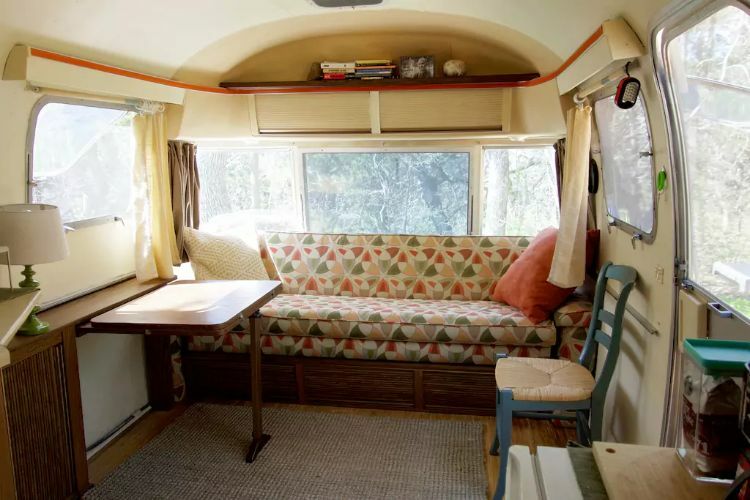 While this vintage Airstream maintains the atmosphere of the original 1978 model, it has been lovingly restored. Some of the renovations included installing new bamboo floors and sprucing up the sofa with a bold, geometric fabric. The kitchen is bright and spacious and perfect for cooking and storing your snacks. In fact, plenty of snacks will already be waiting for you. 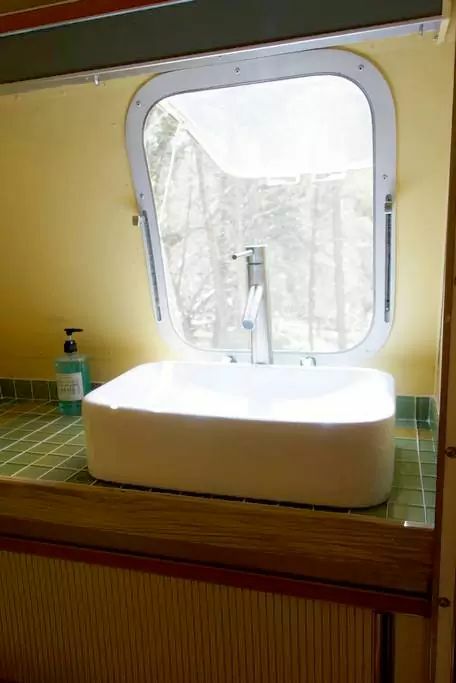 You will love the wooded view from your bedroom window. ...or maybe you prefer to watch movies in bed. 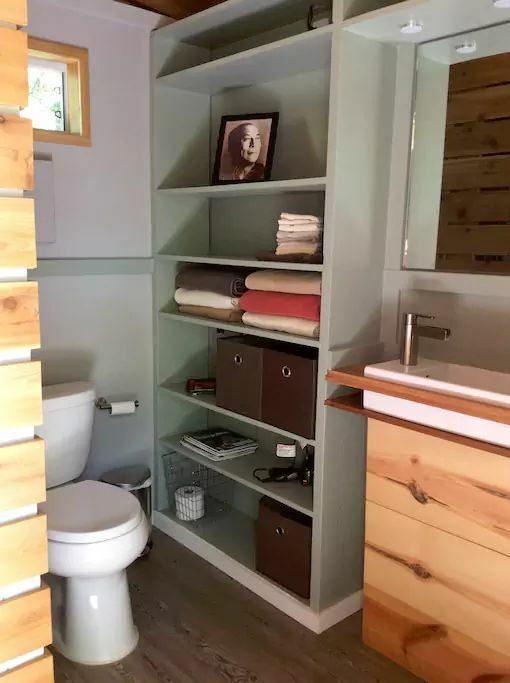 Inside you will find a small bathroom that has been updated with a new sink and toilet. The real treat is the separate bath house located just a few steps from your front door. 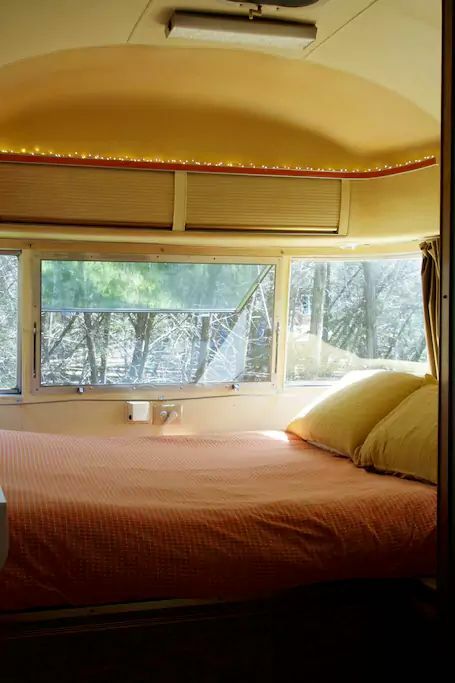 This is where the "glamping" comes into play. 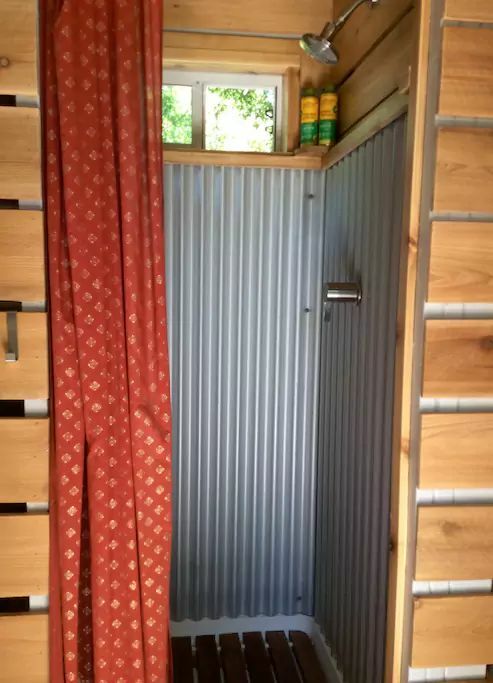 We love the rustic yet modern feel of this amazing outdoor shower. Not only does this retreat have a pool, it has a pool with a view. 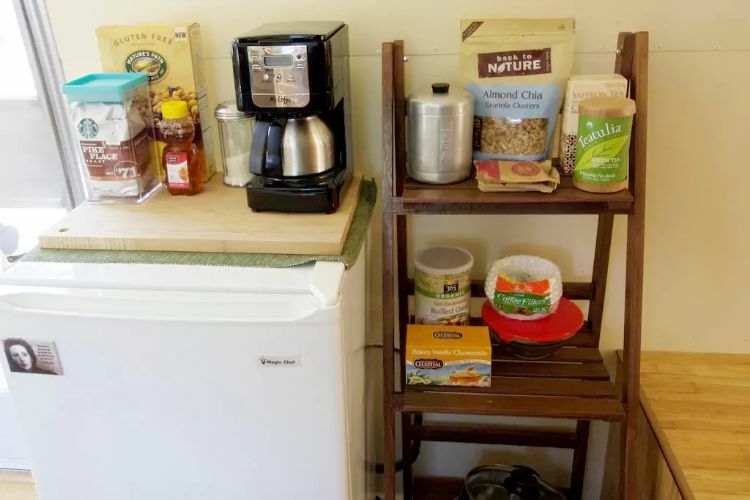 "We want to share our home and land with people who are open-minded, quiet, mindful, playful and peaceful types," write the hosts, Susan and Kelli. 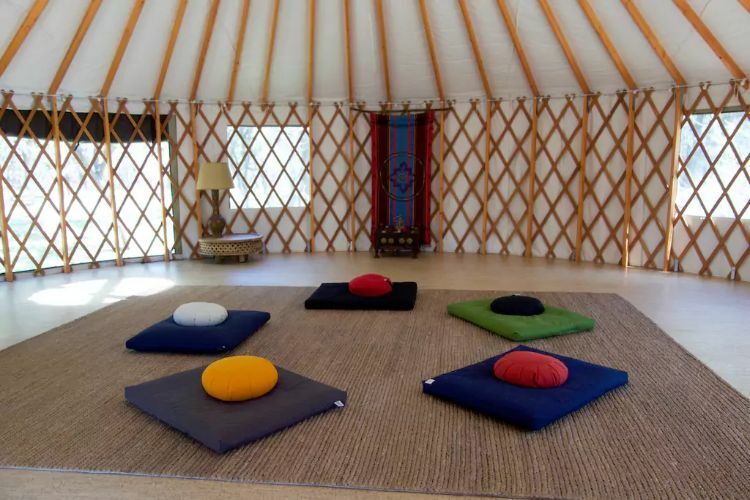 As a part of their overarching mission, they have also constructed a yurt that functions as a meditation and yoga room. 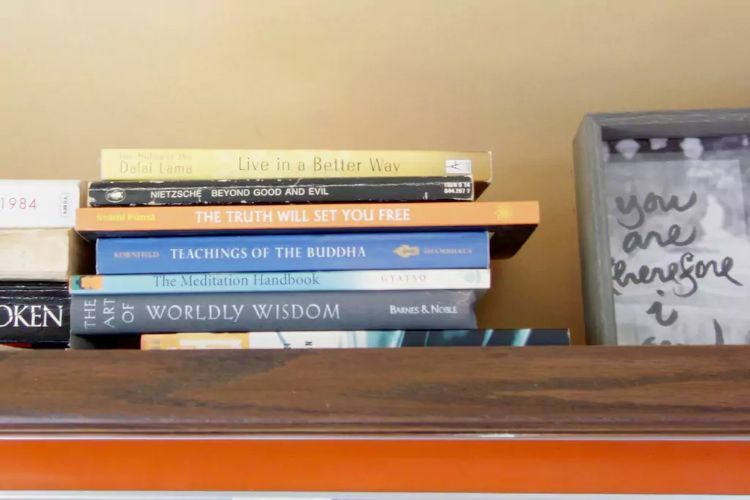 "[O]ur goal is to create an environment that is conducive to creativity, contemplation and meaningful conversation." We think they did an amazing job!